Creative Organisers are professional organisers with a creative twist. We are also specialisi in house moves. 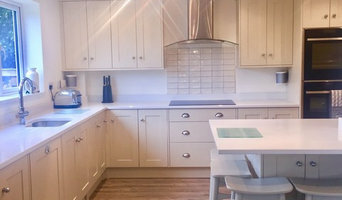 We offer a decluttering and home staging service as well as a project management and design service for self build projects and property developers. We are experts in sourcing new products and can offer advice on the latest trends in interior design. We offer a practical hands on approach to each and every project we undertake, guiding our client through the moving/building process. I provide a Professional Organising Service for clients that want to own an organised home. 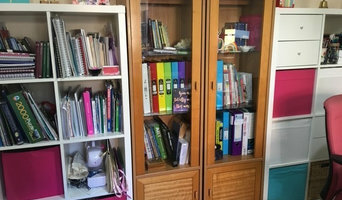 There is so much stress and anxiety when you don’t have an organised space and I have the skill and experience to not only tidy and offer storage solutions but to help you maintain organisation. 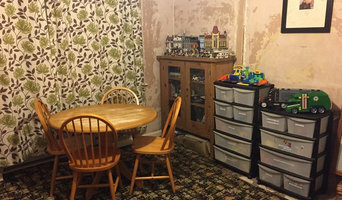 I offer organising projects such as a wardrobe declutter and re-organisation, downsizing, managing moving home, house clearance and house staging. Your project will be unique to you so please ask me for a complimentary assessment. Classic Bedrooms are a well established local family firm who have been trading for over 25 years, producing elegant and beautifully crafted kitchens and bedroom furniture. We are totally committed to our customers by using only the finest quality materials and utilising the latest technology, complimented by years of craftsmanship. Our dedicated in-house design team produce a vast array of custom built designs, ranging from the traditional, to the strikingly modern, to the absolutely latest contemporary styles. The choice is yours! Their aim is to maximise your budget making sure you get value for your money, enabling us to offer a custom built bedroom, every time! Auxilia Care Ltd is a national provider of home care and staffing services with over 25 years of experience and dedication to enhancing quality of life for others. We are proud of our compassionate home care program designed to help people stay at home and live healthier for longer. It all began in 2002 when Tabitha identified the need for high-quality care services for elderly people, people with learning disability and mental health. By 2013, Tabitha recognised the time had come to establish Auxilia Care Ltd as a legal entity. In 2014, the integration of Nationwide Health & Aged Care Services represented a major milestone in our growth as specialist home care provider. Today, we are proud to continue our work as home care provider of choice for the elderly, adults learning disability, palliative care, children with learning disability and mental health. 'Dot the i’s Organising’ are friendly and non-judgemental Professional Organising practitioners, offering support and hands-on assistance in all aspects of organising, for homes and businesses. I run a small business of professional organisers with a difference. Our aim is to help our customers get back on track and get in control of their life and living/working environment again. What does this mean? It means that we do more than just come in and get things organised for you. We will help you be and stay organised in a way that fits with who you are and your lifestyle. We offer home based assessments to figure out the kind of person you are, to find an organising style and methods that work or you and with you. Whether you are a hoarder, collector, neat freak, procrastinator, living amongst chaos or a bit of a perfectionist, achieving that organised lifestyle is possible. What do Derby, Derbyshire professional organisers and storage designers do? A Derby, Derbyshire professional organiser can declutter your home and help you organise your possessions and furniture in a way that fits with your design vision. A home storage designer, on the other hand, can be hired to design custom wardrobes, shelves or other storage solutions to give you the exact storage space you need in your home. 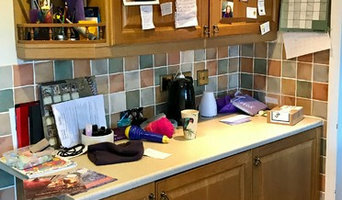 Some Derby, Derbyshire professional organisers will be able to coach you in how to declutter your life, as well as your home, so that you will learn how not to clutter or hoard anything in future. This is a great idea if your home is in need of a complete overhaul and you think that you have a problem with clutter and letting go of old possessions. Or, perhaps you have one particular room that has become overcrowded with clutter, such as the spare room, office or utility room, and needs some serious decluttering attention from a professional. Moving house is always a stressful time and can be made worse by having to deal with all the clutter, jumble and bits and bobs, so it could be worth hiring a professional organiser in Derby, Derbyshire to help you with your move and make sure your new home looks neat and tidy in no time. You can search for Derby, Derbyshire professional organisers with Houzz, see their previous projects and read reviews online before you contact them about your project. If you’re thinking of hiring a Derby, Derbyshire storage designer or professional organiser when moving into a new home, you may want them to discuss your design ideas with any other professionals working on your house project to make sure your storage solutions work with the rest of your design. Here are some related professionals and vendors to complement the work of home storage designers & professional organisers: Interior Designers, Furniture & Home Accessories, Design & Build. Find a professional Derby, Derbyshire professional organiser or storage designer on Houzz. 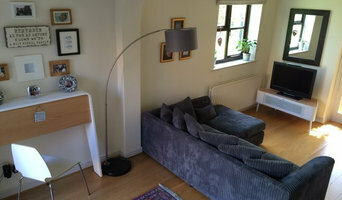 Narrow your search in the Professionals section on Houzz to Derby, Derbyshire storage designers and organisers or look through storage and wardrobe photos and contact the professionals that worked on them.